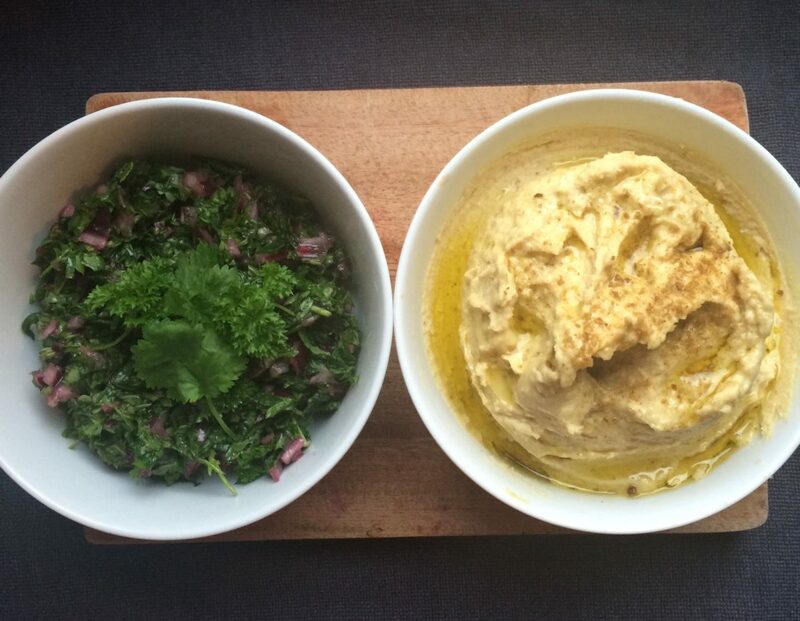 Both of these dips are ideal as a snack at any time of the day or as an easy starter with a bunch of friends. Simply add some vegetable sticks or slices of charred sourdough bread. The salsa verde is also a great way to liven up a steak sandwich! I do love hummus so here are a few more flavour options to try: Minty Beetroot, Roast Carrot and Garlic or Spicy Roasted Red Pepper. Place all the ingredients with 2 tablespoons of the oil in a food processor and blend until smooth. Gradually add the remaining oil until you get your preferred texture. Bunch all the herbs together into a ball and roughly chop. Place all the ingredients in a bowl and mix together with the oil, lemon zest and juice. This will keep fresh in the fridge under a layer of oil for 3 days.